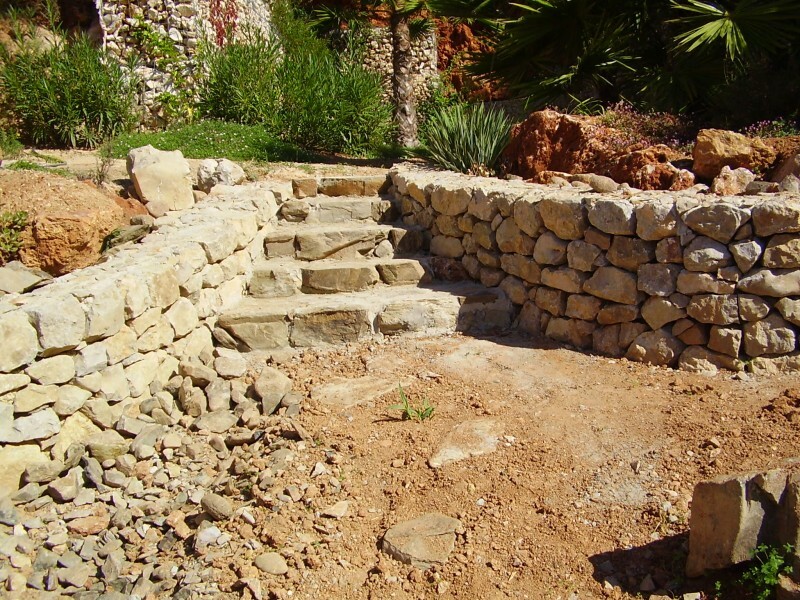 Stone walls, steps and pathways are typical design elements in mediterranean gardens. They are setting visual highlights and in terraced areas they protect the terrain against erosion. 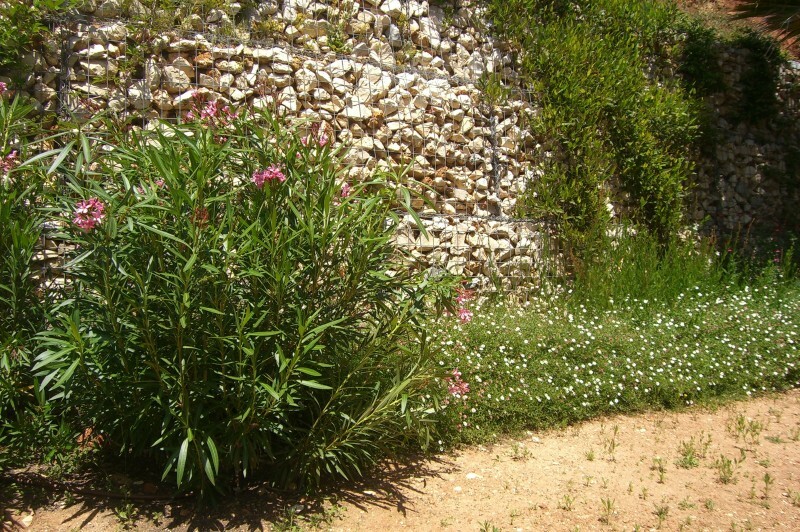 Stone walls can also be created as a noise barrier. 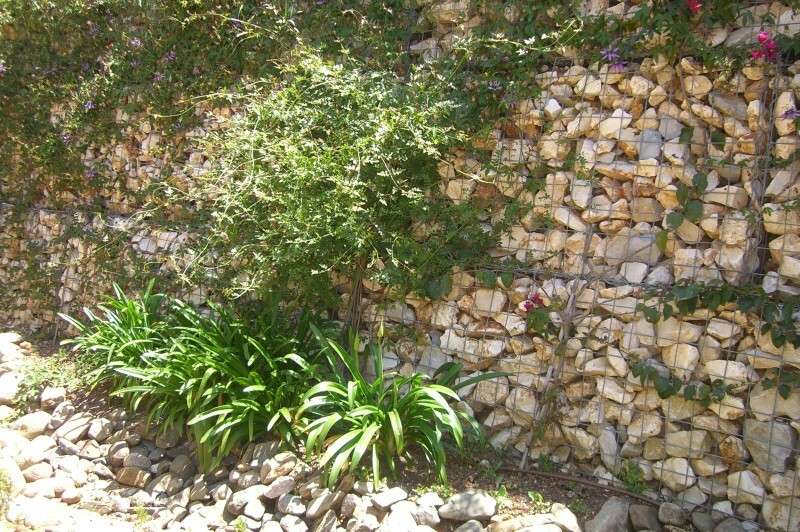 An appropriate planting gives stone walls the character of a rockery. 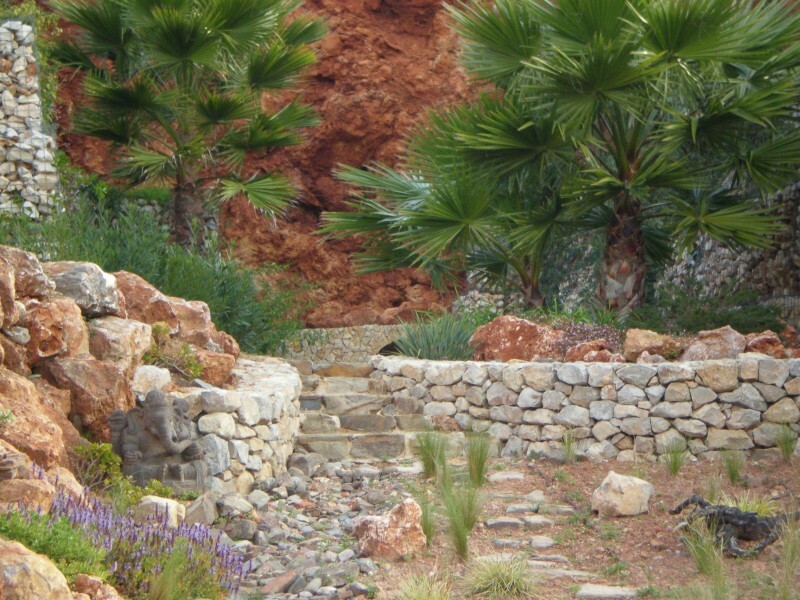 A perfect combination of design and function are gabions (stone filled wire cages). 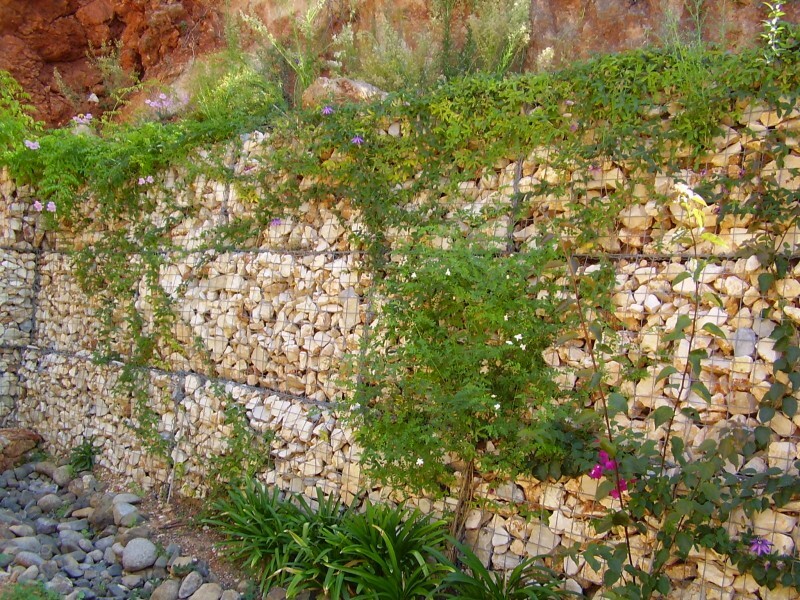 We prefer gabions to build higher retaining walls. 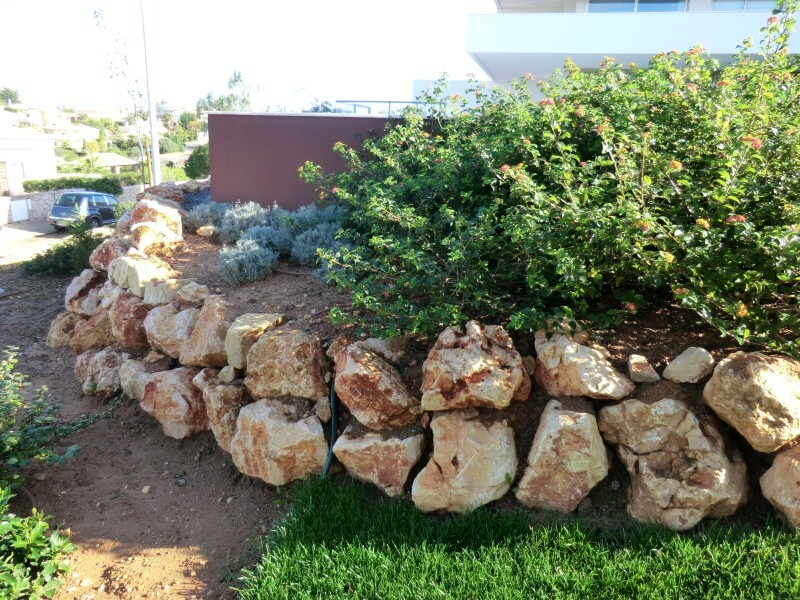 An appropriate planting reduces the bulky appearance of the construction as well.